Many patients come to us from referrals – either from doctors or dentists, who refer to Dr. Rabinovich as he is respected as one of the top oral surgeons in San Francisco – or from friends and family of patients. We are very appreciative of our network of associates, friends, and fans! That said, we recognize that here in San Francisco, we live in one of the most digitally connected cities in the world, and that many patients turn first to the Internet – sites like Google, Yelp, and even Facebook when choosing the best oral surgeon for their needs. A tooth or jaw problem of some type – often dental pain that brings them into their dentist. A referral by that dentist to an oral surgeon, who may or may not accept their insurance and who may or may not be reasonably price. Shopping around and research – many consumers want at least a second opinion on their oral surgery needs, and that’s when they turn to Google, Yelp, or Facebook to look for oral surgeons who might be alternative. Research and learning. Oral surgery issues can be complicated, but fortunately today’s Internet makes it pretty easy for patients to get up-to-speed fast on their dental and oral surgery needs. Selection of potential oral surgeons. Requests for consultations. Many patients call us on the phone, or message us through the website, asking for a consultation. Dr. Rabinovich does his utmost to make himself available for these in-office consultations. Evaluation of options. These can be both possible surgical options as well as which oral surgeon will be the best fit for the patient’s needs. 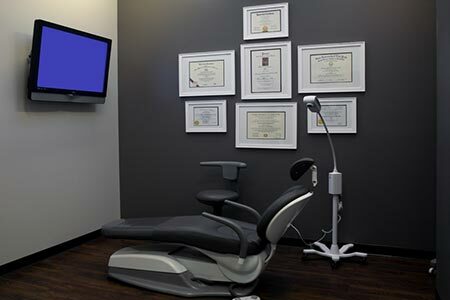 Our goal is to offer the best oral surgery experience in San Francisco, predicated on an understanding that there is no such thing as the single best oral surgeon in San Francisco. Rather, every oral surgeon is different, every patient is different, and ever oral surgery need is different. Dr. Rabinovich has the goal of working with each and every patient to devise a surgical plan that best fits their needs. But, again – back to the Internet. It’s the No. 1 starting point for research to identify the best oral surgeon for a particular need, including a second opinion, in San Francisco. Consequently, we’ve just completed a major overhaul to our website, by refreshing our major pages to make them more user-friendly. We hope you like it. This entry was posted in Oral Surgery and tagged Oral Surgery, San Francisco on February 13, 2016 by Dr Alex Rabinovich.